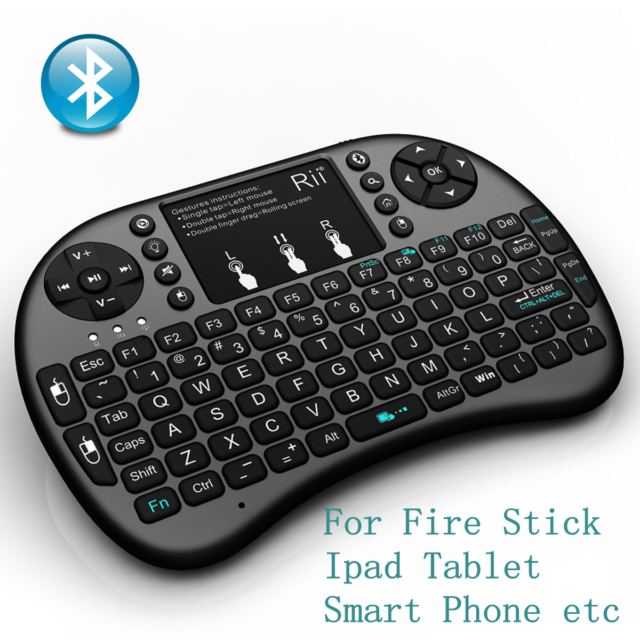 Why Choose Rii mini i8 Bluetooth mini wireless keyboard? This is a wonderful combo, Bluetooth Wireless Mini QWERTY Keyboard & Touch Pad and presenter Combo. You can use it for emails, chat, or to enjoy your favorite games. It is compatible with desktop computers running Windows or Linux but also with handhelds running Android(not android box), Windows Mobile phone, Pocket PCs or Symbian S60 Operating systems. It also supports the Sony Playstation3. Use it with your HTPC on your Sofa or browse the internet in the most comfortable fashion. I needed a good, inexpensive bluetooth keyboard to use with my firestick. This Rii was very easy to setup and sync to the firestick, it makes additions of apps and searches so much easier to do than using the remote that comes with the stick. This is one awesome remote, so much easier browsing around on the fire stick and typing on this keyboard is way better than typing on the keyboard that’s on the fire stick or fire tv. You will not regret buying this remote trust me. I was looking for a keyboard that I could connect to my Raspberry Pi project without using a usb port. (as the Raspberry Pi has built in Blue Tooth). The Rii keyboard worked great, it connected to the Raspberry Pi without any problems and all the keys and functions worked great. The ultimate goal was to use less power on the Raspberry Pi, and I don't know the answer on that yet. The power warning still flashes. I did try the sleep function on the keyboard and that worked really good. I left the keyboard alone for a couple of days. When I went to try the keyboard it fired up right away. All in all a good product for Raspberry hackers. Works well! Connected it to my 2018 Fire Stick 4k and it works perfectly. I keep it plugged in when not in use, so I can't speak to battery life. 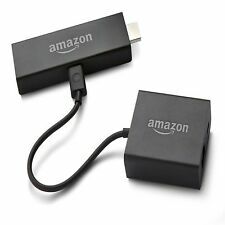 For people wanting something for their Fire TV/Stick, you should look at this. And make sure to get a model with Bluetooth and not one that needs a USB dongle.